Is Union Bay Improvement District Up To Protecting Our Water From Logging in the Watershed? These short clips are from the Dec. 14, 2017 UBID meeting when the threat of logging in our watershed was discussed. 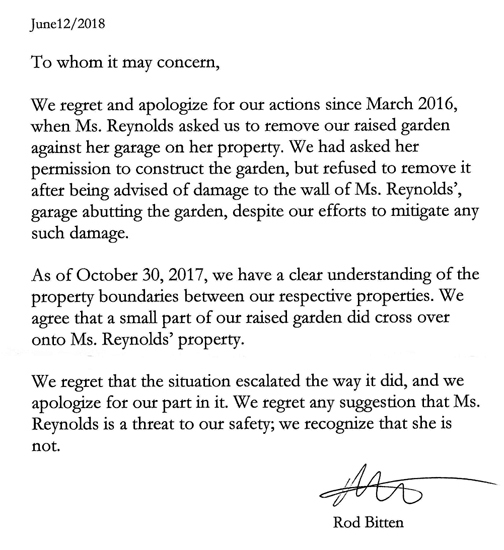 Again, these trustees and Admin have no direction or experience and are flailing around thinking we are at the mercy of a logging company. 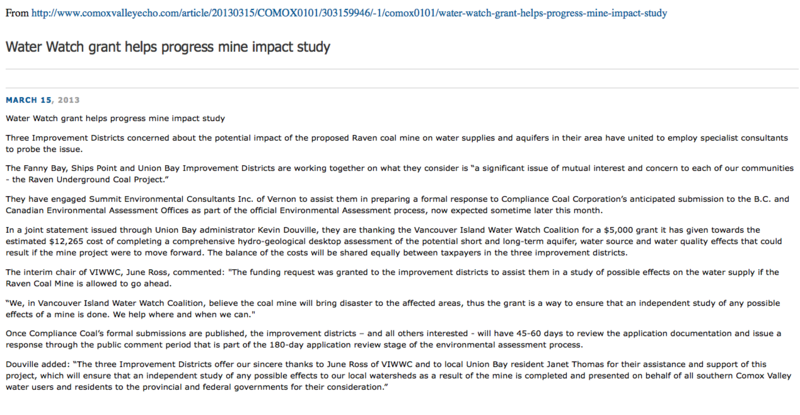 If they had bothered, they would know Vancouver Island Water Watch was involved in 2013. Sitting back and waiting for a response to a few letters is not an option. 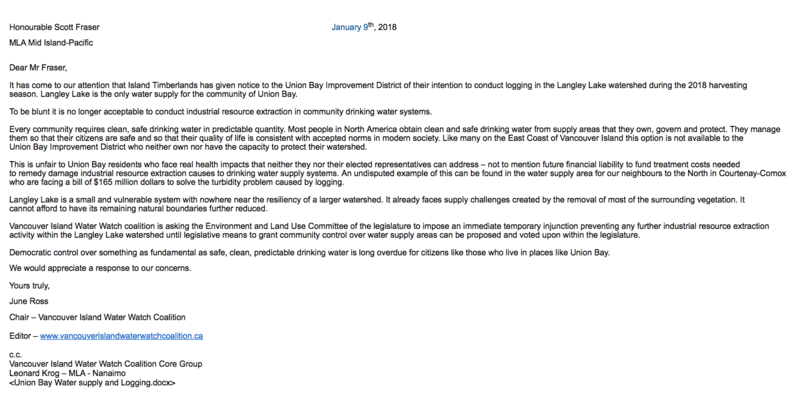 Letter to our MLA Scott Fraser from June Ross of Vancouver Island Water Watch Coalition dated January 9, 2018. Logging has been a concern for every Union Bay Board. Here’s some info from March 2013. Unsure what happened to the $5,000. grant. Next Post Does Union Bay Improvement District Have an Unelected Trustee/Administrator Now?